With the supply of ammunition dwindling and its costs skyrocketing, as well as talks of right bands on some of the most common calibers a lot of people have begun to consider reloading. Reloading, or commonly known as hand loading, allows you to reuse the press case to make more rounds, saving you money on re buying the grass. Not all cases are brass of course, this these days some cases are aluminum or steel and those generally cannot be reloaded. Almost all brass cased ammunition is capable of being reloaded. Have you ever felt like you were wasting something when you left all that brass lying on the ground? The process of hand loading is very simple. The cartridge has a primer at its rear, power in the middle, and a bullet at the front. When you pull the trigger and fire the cartridge, the primer goes off, burns the powder, and the cast bullet is forced out of the mussel. Hand loading is the process of putting a new primer, new power and a new bullet, into the used brass case. There are some good beginner reloading kids in the market today. The brand you should search for is, Lyman, RCBS and Redding on the high-end. Before you rush out and buy one, understanding the re loaders and what choices you have would be the place to start. There are several components involved reloading the first being a press, then dies, cast bullets, primers, and reloading power. The most important thing you will have to decide is what type of reloading press you will want to buy. There are two basic types, the first being a single stage press and the other a progressive press. A single stage press holds one die, which is the tool that resizes the brass casing. 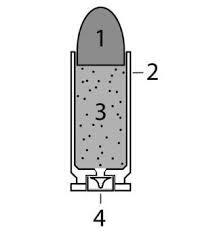 Reloading in most cases involves three guys, but can be two, three, four or even five of these dies to make a finished round. On a single stage press you have to insert and adjust the die, pull the actuator handle, and the cycle the handle back up to complete this single stage. Then you must remove that die, put the next die in and so on until you have completed the round. Many people start with a single stage press because they are the simplest and least expensive. Many long-range rifle re loaders would argue that a single stage press is the most consistent, but if you are making a lot of handgun rounds a single stage press may not be your best option. Imagine sitting at your press preparing for a day at the range, wanting to produce 500 rounds of .45 ACP. That would entail 500 steps of sizing the brass with one die, trimming with another, installing the primer with another, dropping the proper amount of powder into each case and finally seeding the bullet. That would result in as many as 2500 pulls on the handle of a single stage press. It may be fun at first but after several thousand rounds, trust me, you will become tired of it really fast. There is a step up from this press collate turret press that has four or five die stations built into it so you can make a lot of rounds without having to swap out dies. Each pull of the handle performs a specific task at each station of the press and by rotating the base allows you to complete a new round with every pull of the lever. The next step up is the progressive press. No one really makes a beginner kit with a progressive press. There are many other items that are required that must be purchased separately. With the progressive press, every pull of the lever produces a new round. The press has a shell plate that revolves under the die stations with each pull of the lever as the plate turns itself through the loading process a step is being performed on each round in the shell plate. Progressive presses cost more than single stage and current presses, but the time savings can pay you back tenfold. 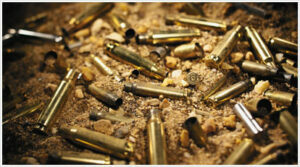 Reloading guides are essential and many are offered both through firearm manufacturers and cast bullet manufacturers. Many options are available that affect bullet flight, foot pounds of impact, and distance the bullet fly. Reloading powder also will have an impact on how you are reloaded rounds perform. When looking for reloading powder for sale, some research on how it affects the cast bullets and their flight characteristics before you buy. When reloading bullets with your own equipment a shooter can produce rounds much more precision than any commercially made ammunition. Commercial rounds are manufactured on automated equipment producing thousands of rounds per hour. When you slow it down and by hand one at a time or even on a progressive press and one for pull you are generally going to produce more consistent and precise ammunition than the factory can. Can you save money? Yes you can! Using 9 mm rounds as an example, a box of the cheapest factory ammo I can find is about $20 for 50 rounds. Compared to hand loading assuming you have the spent cartridges a box of 500 quality 124 grain bullets is around $53. A box of 1000 primers is under $30, and a pound of reloading powder, enough approximately 1500 rounds is $15. That loosely equates to $150 per thousand rounds. The cheapest bulk surplus crates of 9 mm that carry 1000 rounds will cost you just about $250 including delivery. You will save a substantial amount of money, as well over time, become educated on how different powders and cast bullets create different results. Enthusiasts use the term hand loading instead of reloading due to the gradual transformation that happens when we begin to start reloading. Normally we do it to save money on shooting, but it only turns into a labor of love and learning. As with many things in my life hand loading wound up costing me a lot more than I initially saved on ammo. Ingenuity has resulted in some interesting products to take reloading bullets to a higher level. Redding reloading has dedicated their entire company to the needs of the hand loader. Dillon has taken the progressive re loader to a higher level and turned it into a $1000 plus commercial grade reloading machine for consumers. BOO YA ! Hand loading is fun! 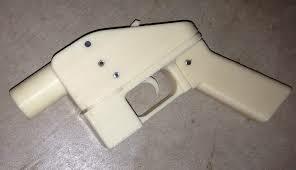 On the edge of technology today is 3-D printing guns. I’m sure it won’t be long before there is a way to 3-D print the reloading components needed to make ammunition. 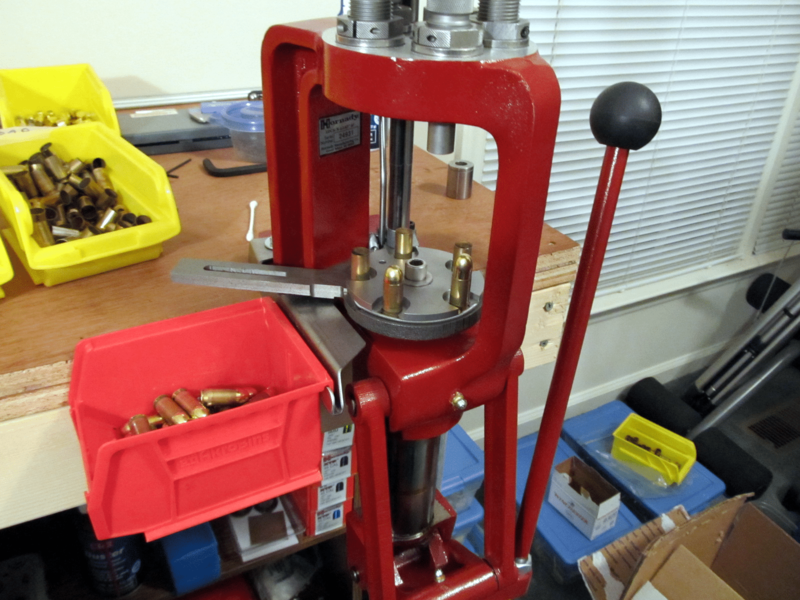 Do you have a favorite hand loading press or information you would like to share about reloading bullets? Share them here for rest of our readers! Hey Buddy!, I found this information for you: "Making Bullets". Here is the website link: https://thegunrights.com/making-bullets/. Thank you.